Deep in the bowels of Destiny, a video game in which players travel through space wondering how the hell Bungie got away with that damn crucible bounty quest, there’s an enigmatic weapon that nobody’s discovered yet. 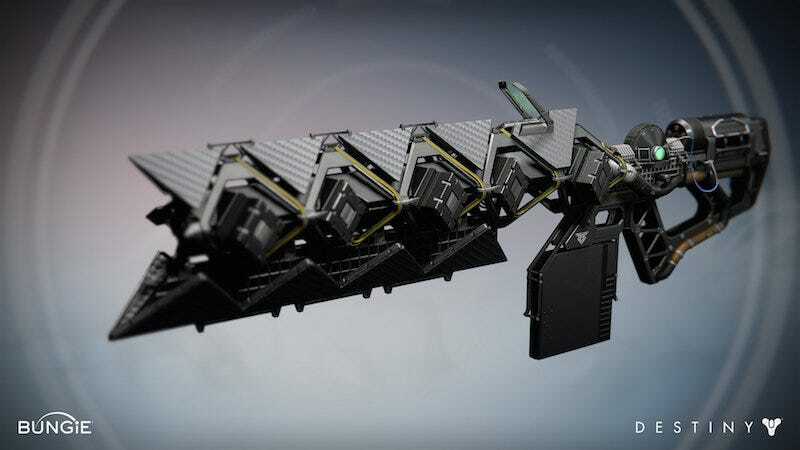 It’s called Sleeper Simulant, and for the past two weeks, players have been going crazy trying to find it. No luck yet. Destiny secret-hunters have put together their own subreddit—r/searchforthesleeper—where they gather to share theories and don tinfoil hats while reporting on everything from logo analysis to weird noises. There have been theories—oh so many theories!—but as of right now, nobody’s come close to finding it. However, in order to unlock the gun, players first have to collect relics of the Golden Age which have been scattered across the various locations of Destiny. After players bring these pieces back to Banshee-44 (the Tower’s gunsmith), the ancient artifacts trigger a memory in the ancient Exo gunsmith, and he will invite players on an odyssey to repair and reactivate one of the Taken King’s most striking exotics. Bungie doesn’t want to spoil the story content of this mission, but it did say that there will be unique tasks and objectives required for completion, which might even include puzzles that are too hard for any one player to figure out on their own. Right after The Taken King launched, enemies across the game started dropping relics with the prefix “DVALIN” that could be traded to the gunsmith for reputation gains. 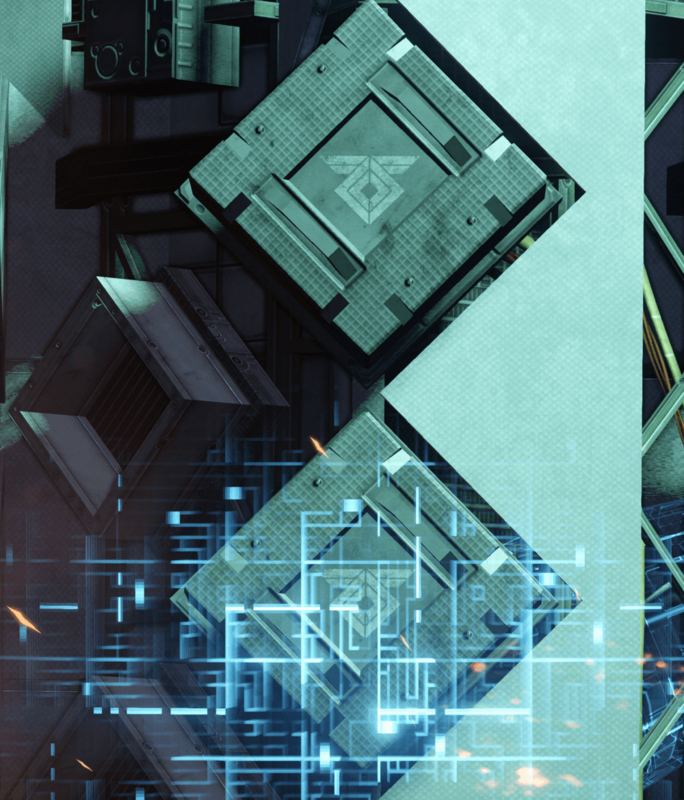 At first, players theorized that turning in enough of these relics might trigger the Simulant quest, but it hasn’t happened yet, which leads to the question: Have we just not found all the relics? Or is there another trigger? Last week, we learned that Bungie has a few new tricks up their sleeve with this incarnation of Destiny. Turns out at least one of The Taken King’s new story missions has a secret challenge that’s only obtainable when they make it the daily heroic. Which got Sleeper hunters thinking—what if the secret to this exotic fusion rifle is actually hidden in one of the story missions? Here’s where we put on our rubber boots and start stomping around in the wet marshes of Destiny lore. Get ready. So what is the common theme between Rasputin, the Pocket Infinity, the ACD/0 Feedback Fence, and the Sleeper Simulant? THIS SYMBOL. The diamond with wings looking thing. That symbol is found all over Rasputin’s bunker, as well as the three weapons mentioned above. Here it is on the Pocket Infinity, and here it is on the ACD/0 Feedback Fence before it was changed, for whatever reason. Even more interesting is this image of the Sleeper Simulant itself , which I believe is a poster included in the Legendary Edition of The Taken King. The symbol is there in the top left corner, and if you look closely, it is right there ON the gun itself. Three items, three symbols. All made by Rasputin, using Vex technology and parts of his Warsats to build them, thus the common visual themes between them. This is important to note for later on when we look at what will happen next. Clearly, the hunt can be exhausting. Yet it’s also exhilarating. Although Destiny has always been filled with secret-hunters, this is the first time in the game’s life where it feels like the clues will actually lead to something substantial, as they did with Black Spindle. (Turns out the clue to that exotic was hidden on a runestone you’d get from dismantling a Black Hammer.) Nobody knows how we’ll ultimately find the Sleeper Simulant, or if any of these theories are even coming close to the truth, but hey, the chase has a thrill of its own. Here’s my own contribution to the mystery: I noticed that when you turn in DVALIN relics to the Gunsmith, you don’t just push a button and cash them in; instead, you have to hold the button for a long time, as if the game is giving you a chance to reconsider your decision. This is a bizarre UI choice. Usually, items that are designed to be deposited—like the stuff you turn at the cryptarch for glimmer—will just disappear immediately when you hit the button prompt. So maybe you’re not supposed to turn in these relics? Maybe you’re supposed to hoard them and see what happens when you collect enough? Hmmmm. HMMMMM.